Barcelona mayor Ada Colau has been challenged by animal rights activists to close a costly dolphin enclosure at the Barcelona Zoo, with the city’s budget restraints and an ongoing investigation into safety and animal welfare conditions at the facility said likely to result in the marine mammals’ eventual freedom. 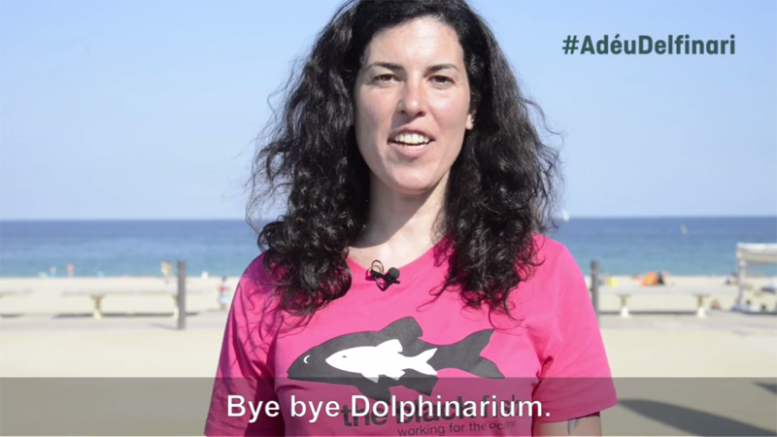 A campaign to free the dolphins at the zoo’s Dolphinarium spearheaded by the Barcelona-based Fundació para el Asesoramiento y Acción en Defensa de los Animales (FAADA, Foundation for Advice and Action in Defense of Animals), has increased public awareness and applied pressure on the mayor to removed the dolphins from the cramped facility and place them in sanctuary facilities as a step toward their return to the wild. An estimated 15-million-euro price tag for an upgrade to the Barcelona facility to make it compliant with European standards was recently cancelled by Colau as prohibitive due to the city’s restricted municipal budget. Two of the dolphins are reportedly ready for imminent transfer to a higher-quality dolphin enclosure in Valencia.